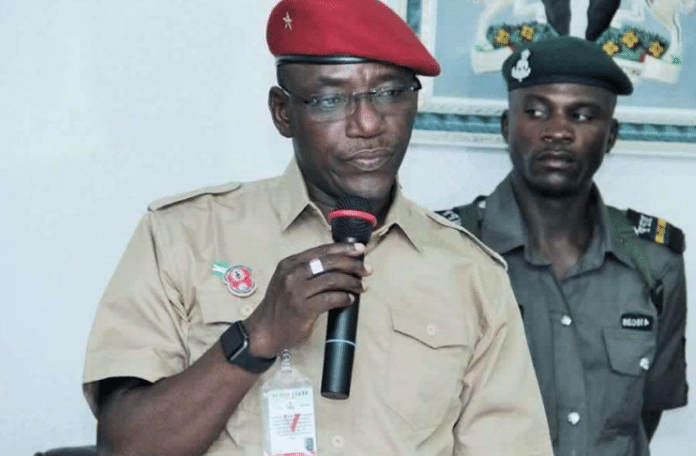 The Minister of Sport and Youth Development, Mr. Solomon Dalung, said the seeming crisis in the ruling All Progressives Congress (APC) may not be unconnected with 2019 elections. Dalung said this on Thursday in Abuja while briefing newsmen after visiting the party’s National Chairman, Chief John Odigie-Oyegun, at the secretariat. According to him, most of the challenges inherited by President Muhammadu Buhari-led administration were also causing unrest. Signs of cracks in the APC emerged recently when a national leader of the party, Alhaji Bola Tinubu, called for the resignation of national chairman following the outcome of the party’s governorship primary in Ondo state. The minister pointed out that APC was a party that embodied diverse interests, started out as an amalgamation of different political groups and graduated into a political party that formed a government. “Now, the management of that interest is very critical, but the challenge the party is facing, and the government, is that the government inherited a situation where it has more challenges of fixing the country. “So nothing or no good attention at all would have trickled down to the line in view of the economic constraints government found itself. “That is enough to stir bitterness in the party and this can give birth to a crisis. “The second perspective you could take a look at has to do with the future, a politician is a very ambition person. “In everything he does, including the step of movement, he calculates ahead of time. “So, it could also be that some politicians had viewed the future and they are already dusting weapons for a political showdown to set the tune of their political ambition,’’ Dalung said. He expressed worry about looming crisis in the party and called on the leaders involved to sheath their swords. “There is no reasonable person in government that won’t be worried because the unity of the party is the unity of the government. “So we are concerned; our position is to appeal that all those that are involved in the crisis are our leaders and we respect them very much as young people. “What we expect from them is to bequeath durable legacies and I don’t think that crisis is part of what they intend to bequeath to us. “They should be guided by this fact that the younger ones are interested in learning positively from them. On the recent defection of the former governor of Plateau, Joshua Dariye, from PDP to APC, Dalung said “the action shows that APC has something to offer. “For us as members of the party, it is a thing of great joy and is an endorsement of our manifesto as the only credible manifesto that can stand the test of time for now in Nigeria.